For the first time, colored concrete safety barriers are ensuring safety on German roads – and enhancing their visual appeal, too. Instead of drab gray, three sections in green, ocher, red and yellow blend perfectly into the Baden-Wuerttemberg landscape. The liquid colors used for coloring the cast-in-situ concrete are based on the weather-stable inorganic pigments from specialty chemicals company LANXESS. The three sections of the pilot project have a total length of around half a kilometer. The area that has been integrated into a landscaped embankment to support a cycle path is colored with green Colortherm chromium oxide pigments. 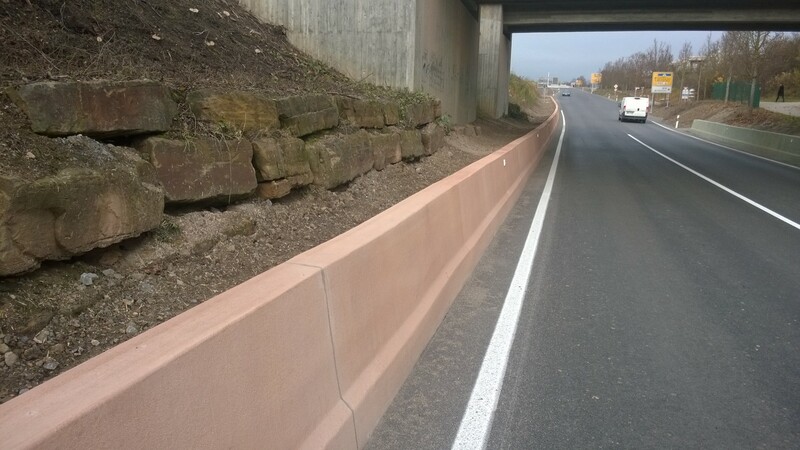 Orange Bayferrox iron oxide pigments were used for the opposite side of the road, with the color matched to the stone wall behind and creating a contrast to the abutment of a bridge. The construction company that carried out the work was Dortmund-based VSB Infra GmbH & Co. KG, a national service provider for traffic areas and protective systems made of concrete. The company’s slipform paver used in Renningen applied concrete at a steady rate of 1.5 meters a minute. 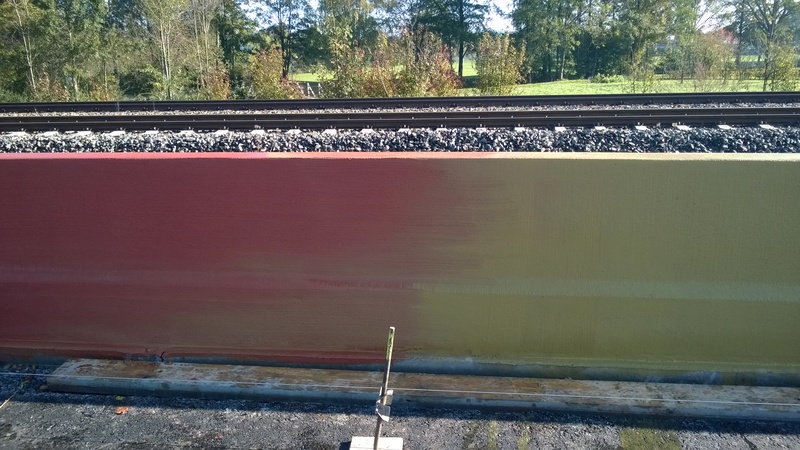 The colored ready-mixed concrete for continuous casting was supplied to the site by TBR Frischbeton Stuttgart GmbH. The liquid colors used were manufactured by Harold Scholz GmbH & Co. KG, Recklinghausen, using Bayferrox and Colortherm pigments. A total of 180 cubic meters of concrete were used for the pilot project. 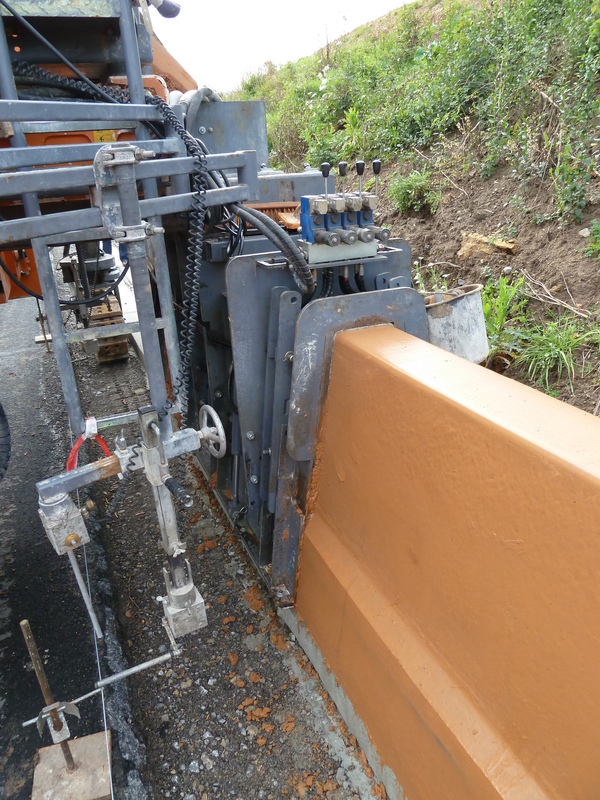 A truck mixer load of approximately eight cubic meters was sufficient for 20 to 25 meters of concrete safety barrier. Kay Petersen, Managing Director of VSB Infra, could also well imagine slipform gutters and curbs made of colored cast-in-situ concrete as a design element for city centers. 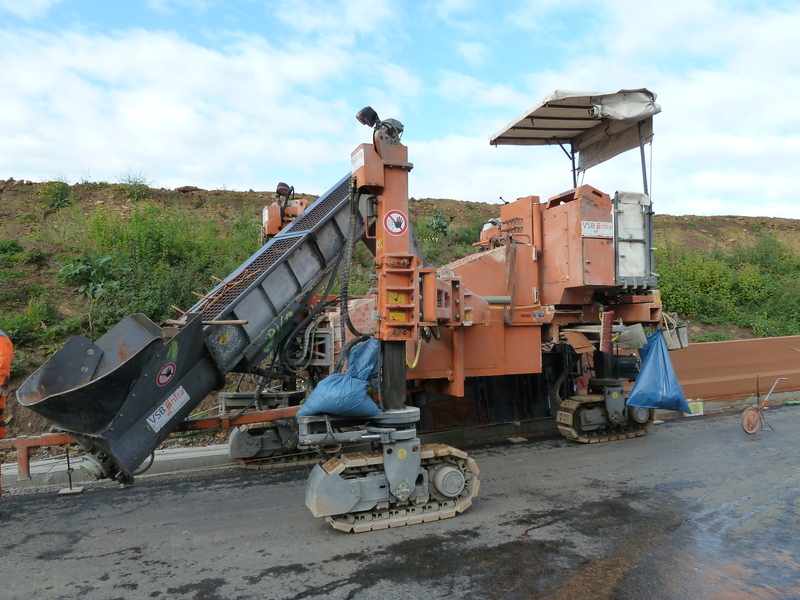 “This makes no difference to our slipform paver. Cleaning is only necessary for a planned abrupt color change. It is not required for a gradual color transition,” he added. Colored exposed concrete sections made of cast-in-situ concrete create a visual impact and can separate different areas such as bus lanes, crossings and cycle paths clearly and durably, thus boosting safety. The design possibilities are virtually limitless – the environmentally safe Bayferrox and Colortherm inorganic color pigments from LANXESS are available in red, yellow, green, brown and black. A total of more than 100 different shades are available for a wide range of application areas. The pigments are cement- and alkali-resistant and completely weather- and light-stable. Detailed information can be found on the internet at www.bayferrox.com.